This book will take you on a voyage of discovery in search of knowledge of the principles underlying astro navigation. It will also help you to appreciate the inter-relatedness of the various disciplines that are encompassed by the subject, for which mathematics provides the binding medium. It will appeal to anyone with a fascination of the sea. In particular though, it has been designed to provide invaluable knowledge and understanding of astro-navigation and related mathematical techniques both for sea-farers and scholars alike. Few navigation books describe techniques that involve first principles; instead they mostly describe methods which rely upon the use of tables of computed data and rote-learned procedures. There is obviously very little educational value in such techniques; far better that students should be helped to discover and apply the underlying principles for themselves. For this reason, the underlying philosophy of this book is that students should be encouraged to discover the fundamental principles upon which astro navigation is based. Therefore, the aim is to provide a resource to help students to learn to navigate by the Sun without the aid of automated navigation systems, ‘ready-reckoners’, nautical almanacs, or other sets of astronomical data. An important by-product of this approach is that it provides a method of calculating latitude in a survival situation where sat-nav systems, computers, internet phones, calculators and nautical almanacs are not likely to be available. This method was derived from the author’s discovery of a previously unheard of system for calculating the Sun’s declination. 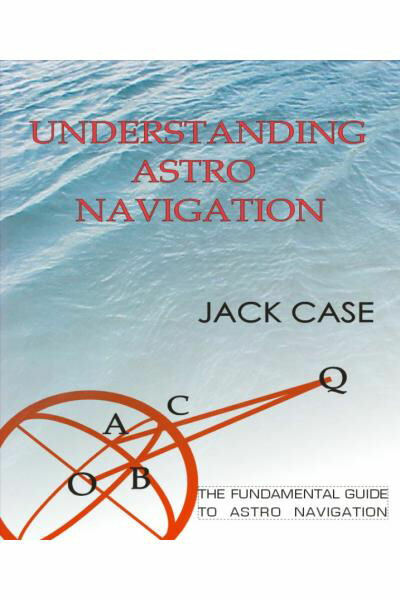 Understanding Astro Navigation (ISBN 0-9541331-0-2) is available in the United Kingdom from Amazon.co.uk.